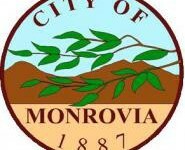 The Monrovia Rotary Club has presented retiring Monrovia Police Chief Jim Hunt with the highest award a Rotary Club can present, a Paul Harris Fellow Award, in recognition of his 27 years of service to the people of Monrovia. 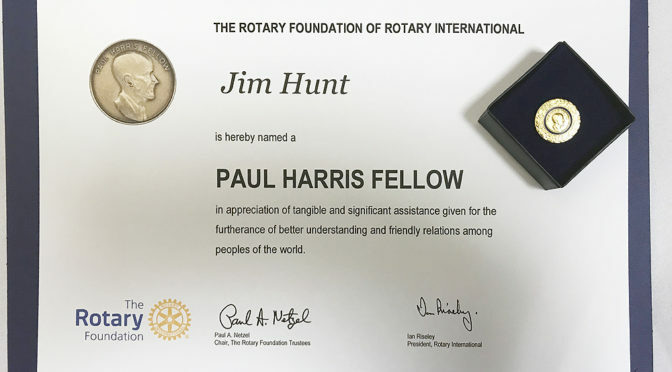 Named for the founder of Rotary International, the Paul Harris Fellow Award is given in recognition of individuals who have given $1000 to the Rotary Foundation or worthy individuals in whose name a donation has been made. Other notable Paul Harris Fellow awardees include U.S. astronaut James Lovell, Mother Teresa, Pearl Bailey, UN Secretary-General Javier Perez de Cuellar, and Jonas Salk.